Bell & Gossett is a leading provider of efficient water technologies and solutions for the agricultural, landscaping, building systems, and industrial water industries. The Bell & Gossett product line consists of a range of pumps, drives, valves, heat exchangers, controllers, water systems, and more. Bell & Gossett is widely recognized for meeting the various needs of their consumers through their high quality and reliable equipment line. EquipNet is constantly receiving used Bell & Gossett equipment through our exclusive contracts with our clients. 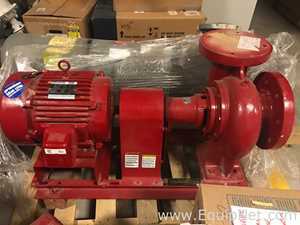 Our inventory of used Bell & Gossett equipment includes centrifugal pumps, valve parts, and more. If you don't see the used Bell & Gossett equipment you are looking for, call one of our representatives and we'll find it for you. We can also source the right tooling and change parts that you need through our huge network of corporate clients from around the globe. Bell & Gossett pumps are extremely durable, energy efficient, and are designed for easy maintenance. 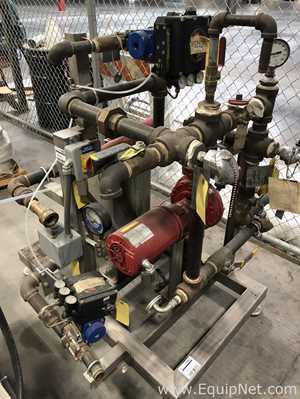 EquipNet carries various models of used Bell & Gosset pumps in our inventory, including small booster pumps, large booster pumps, centrifugal pumps, vertical turbine pumps, and more.